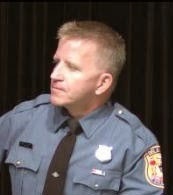 A tip of the helmet goes to Sergeant George "Bud" Heberling of the Delaware State Police, for his part helping us to investigate the 2 crashes that happened last Thursday. Bud is an active member of the Delaware Bicycle Council, and is routinely called upon for details when crashes between motor vehicles and bicyclists and pedestrians occur. This is crucial so that advocates can follow-up, and ensure that the Vulnerable Road Users and 3' Passing laws are applied when applicable. #1 10/30/2014, 8:38 a.m. -- E. Chestnut Hill Road (Route 4) at the intersection of Salem Church Road, 1.50 Miles from Newark -- Bicyclist was issued ticket for failure to stop at a red light. Two witnesses observed and cyclist admitted to same. Despite the media’s description of “suffered serious injuries”, the police report lists the cyclist’s injuries as non-serious multiple abrasions on upper and lower extremities and face. #2 10/30/2014, early afternoon -- New London Road, south of Pyle’s Ford Road west of Greenville. 65-year-old bicyclist was treated by NCC Paramedics and flown out by DSP Helicopter. He reported to paramedics that he had fallen off his bicycle and may have lost consciousness. No evidence of a vehicle having been involved. The cyclist suffered minor injuries but was flown to Christiana as a precautionary measure due to his age and having possibly lost consciousness at some point. There is no crash report because there was no motor vehicle involved. Above: Route 4 has generously wide shoulders. The conflicts occur when they disappear into right turn-only lanes. Advocates have been pressing DelDOT for years to develop a pocket lane or other striping treatment that can be readily adapted at intersections. For #1, bicyclists - no matter how law abiding - are routinely characterized as being scofflaws. While Delaware Bikes would never condone breaking the law, it should be noted that DelDOT rejected the request of advocates to include bike lanes on E. Chestnut Hill Road (Route 4) when it was last repaved in 2008. Studies - including our own survey of Delaware bicyclists - clearly show improved compliance with traffic controls when bicyclists feel accommodated for, and included as participants in traffic. Portland Oregon bicyclists, in fact, boast an outstanding 94% compliance rate with red lights. 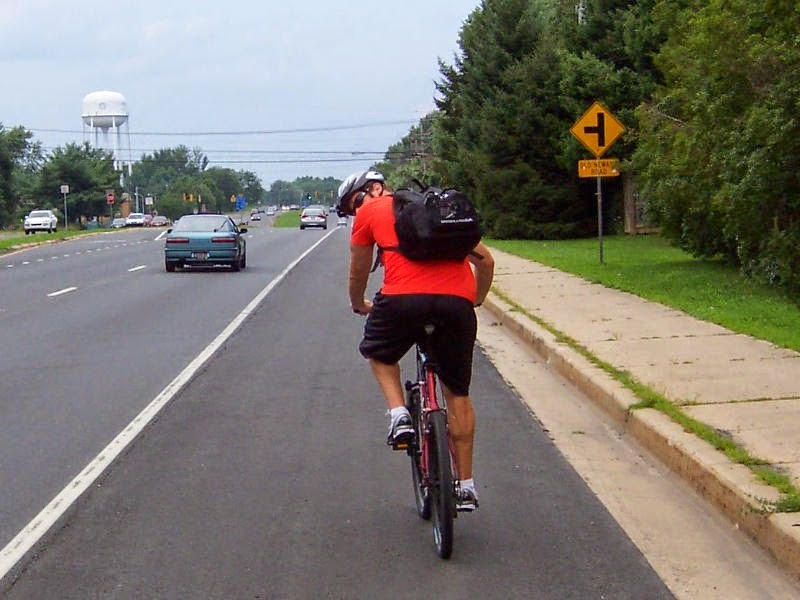 As long as DelDOT continues to forgo an equal level of service on most roads when given the opportunity, expect little change in bicyclist's behavior. Above: The scene where #1 proceeded through a red light. The temptation to do so can be overwhelming, especially when getting a head start can increase your survival odds. If you arrow ahead in the street view above, note that once through the intersection, the shoulder becomes a high volume merge onto Route 273 East. As a bicyclist continuing straight on Route 4, is it really safer to wait for this red light? Doing so greatly increases your risk of a right-hook altercation, because at the same time you reach the right lane merge, so too does volumes of traffic, most of whom are exiting onto Route 273. A head start here can put you ahead of this traffic, past the merge, and thus avoiding a dangerous situation entirely. Clearly, a bike lane would have helped.